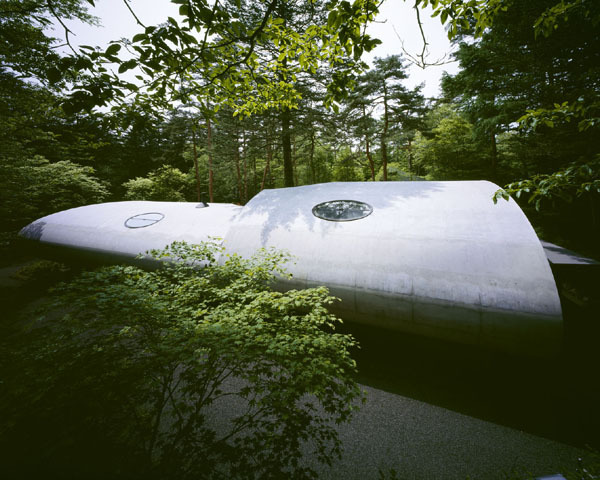 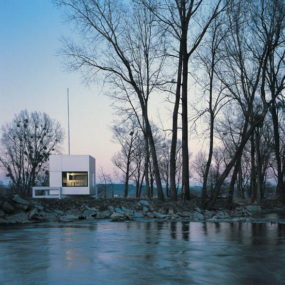 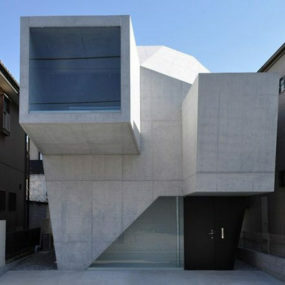 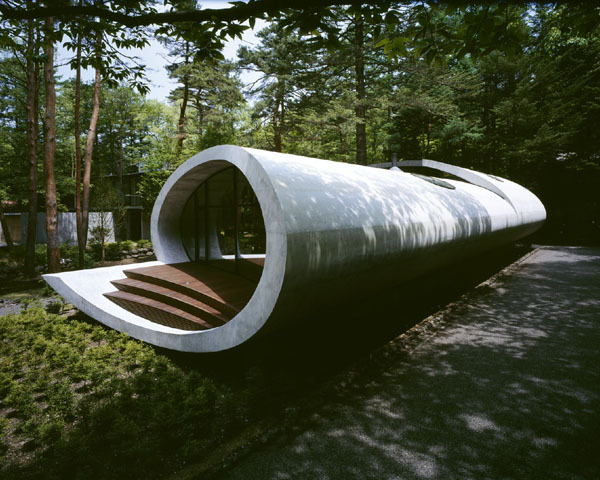 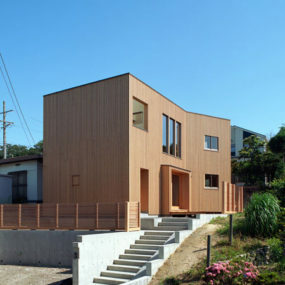 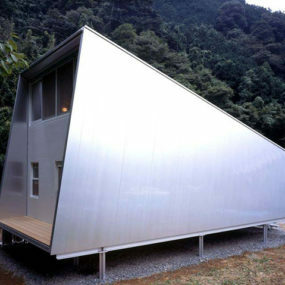 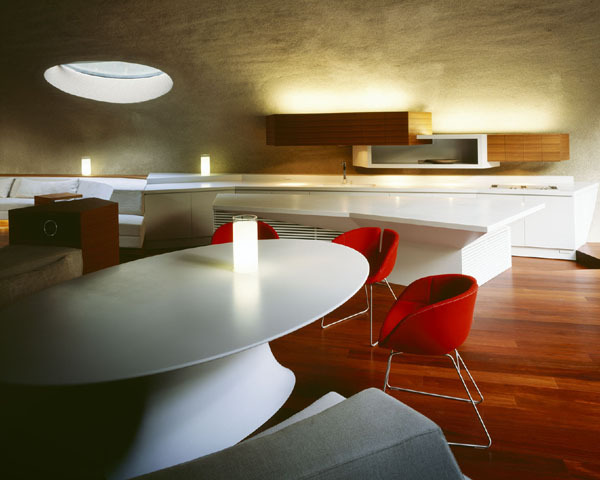 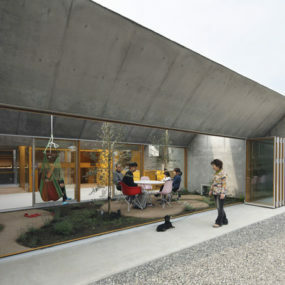 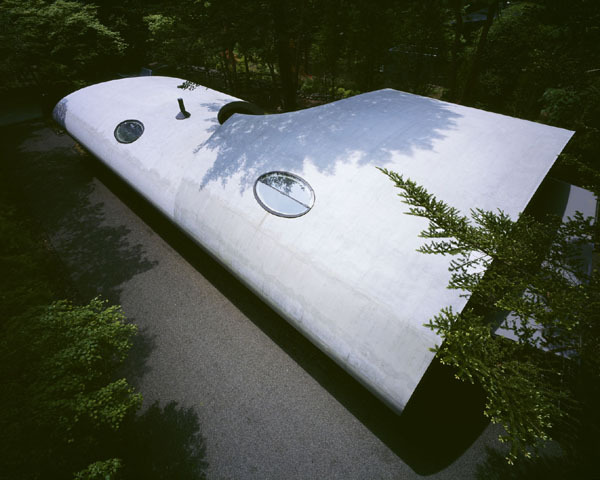 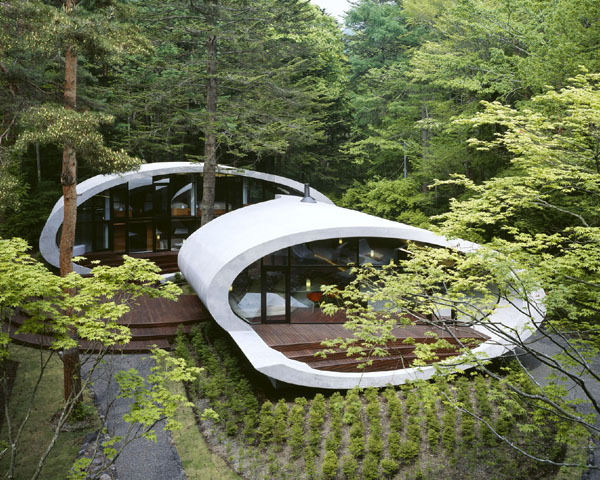 With the profile of a shell and an aerial view of some ultra-modern space craft, the futuristic Shell House by Japanese architecture firm Artechnic is totally out of this world. 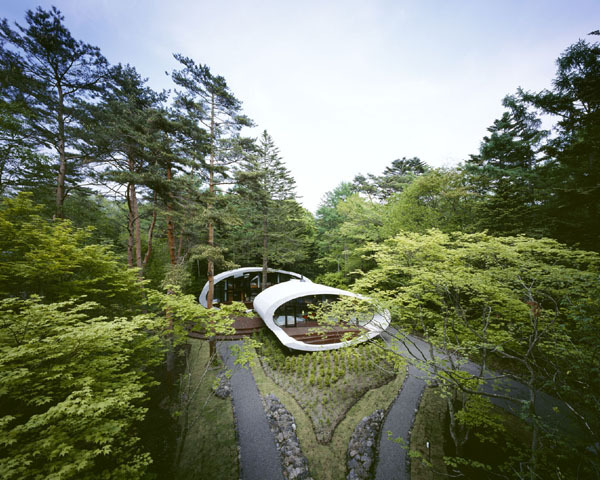 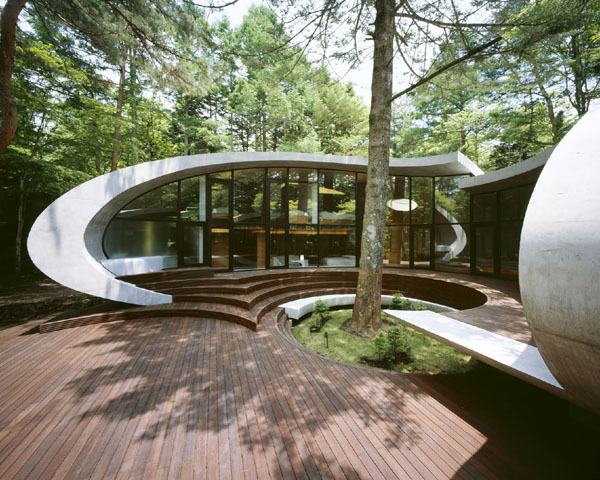 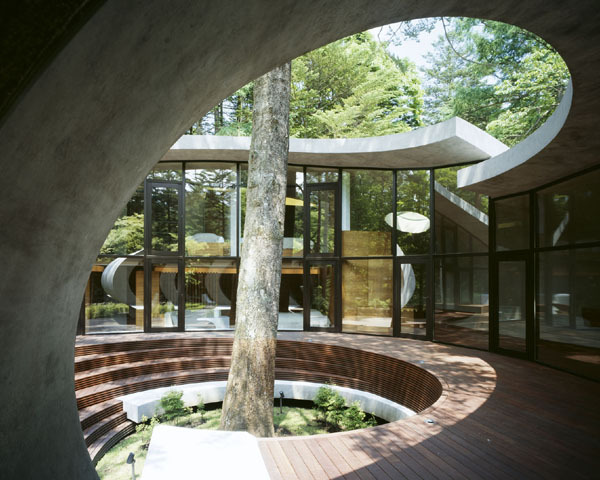 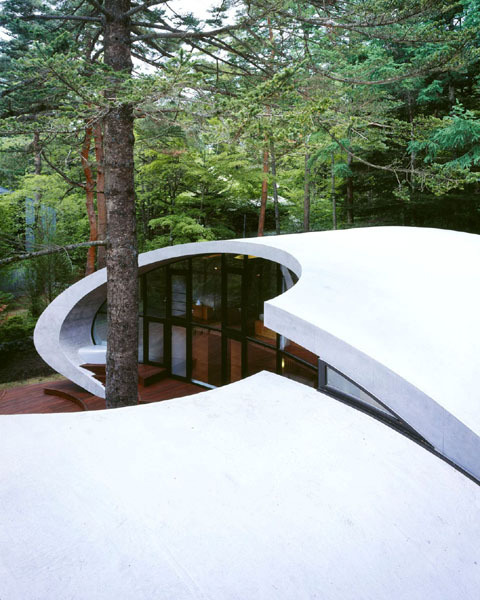 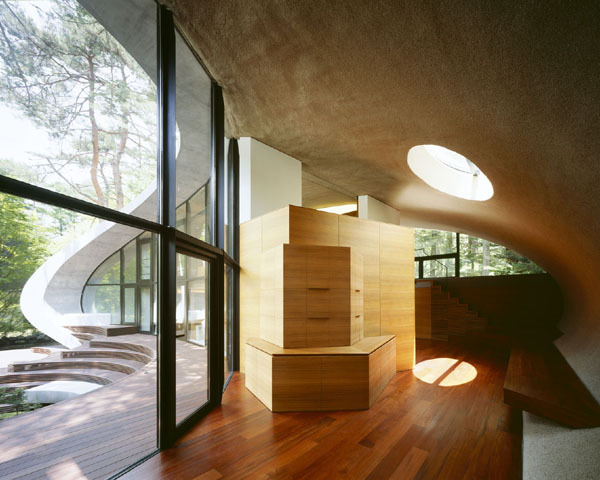 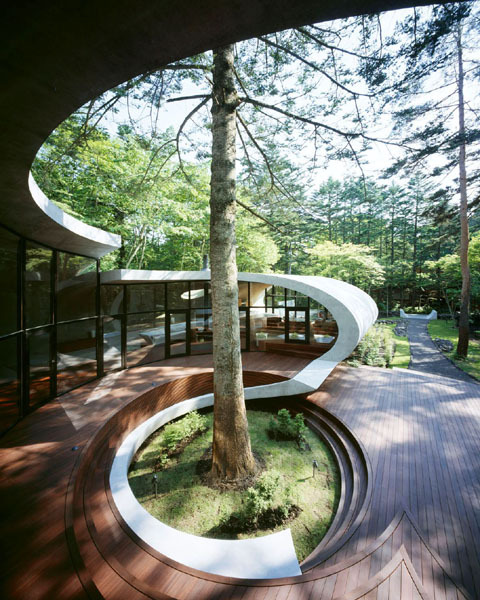 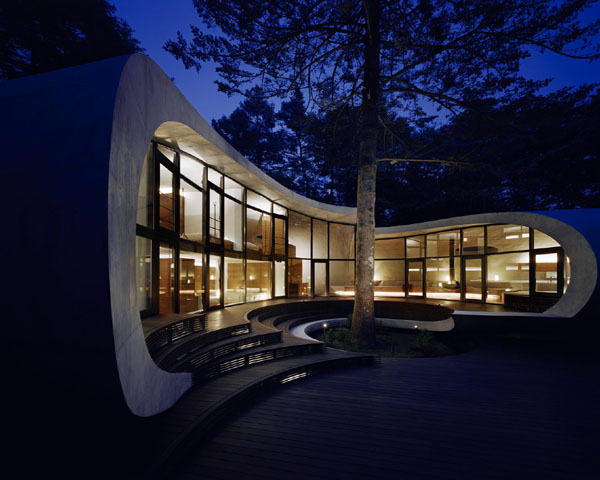 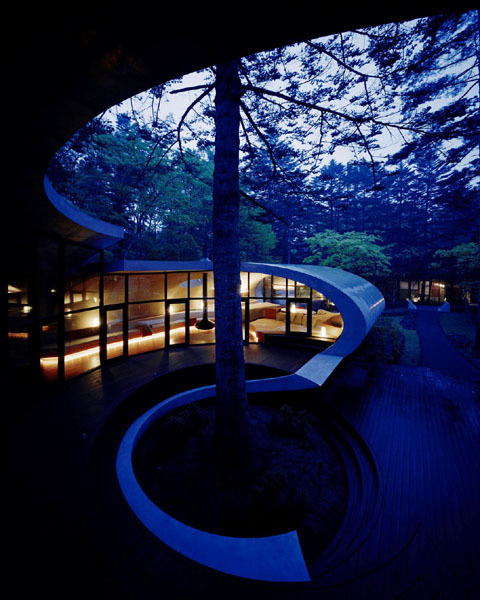 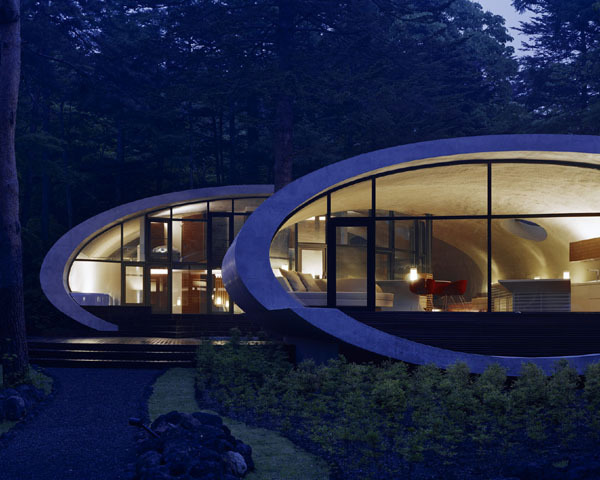 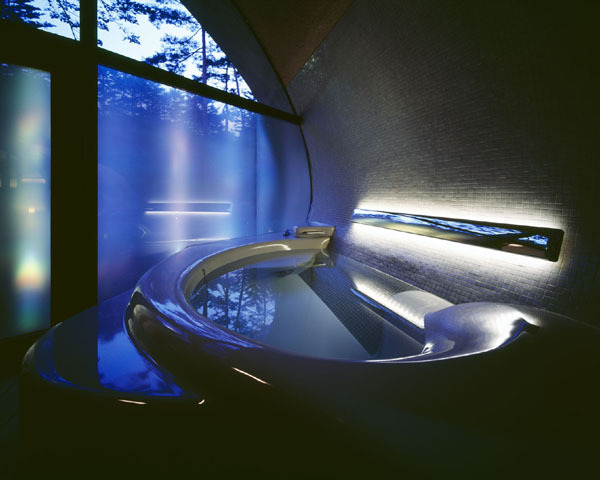 Located in the forest of Karuizawa, Japan, this one-of-a-kind design boasts the cross-section of a seashell, with its double-elliptical shapes and curves. 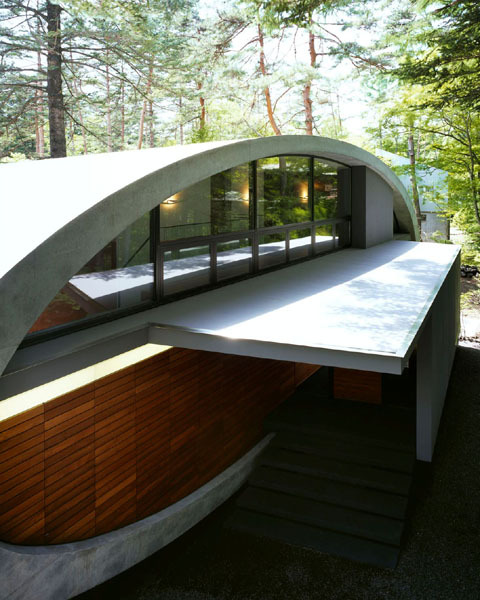 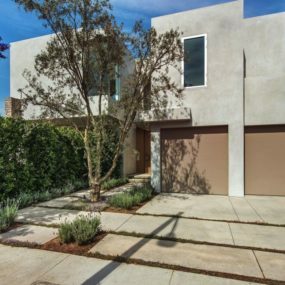 Supported by concrete and wood, the home surrounding decks are as artful as this modern house design itself. 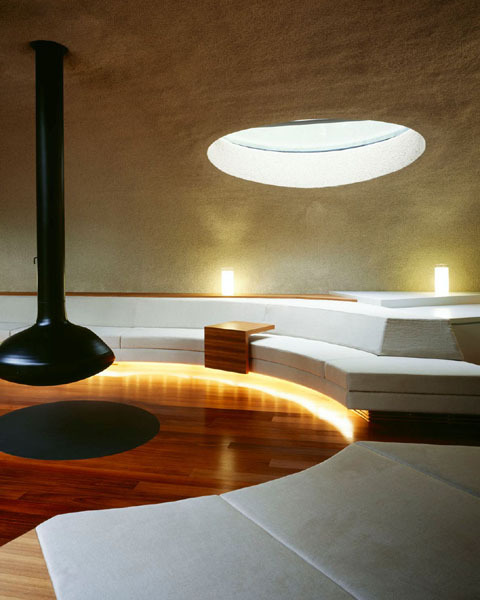 Floor-to-ceiling windows offer views into the contemporary cave-like interior featuring soft, sandy textures and an organic structure that flows continually from ceiling to wall to floor. 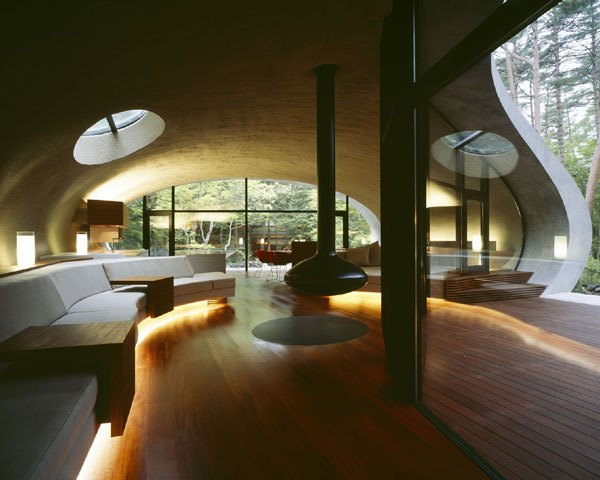 Circular skylights throughout this modern home enhance its architectural interest while flooding the dark corners with bright, natural light. 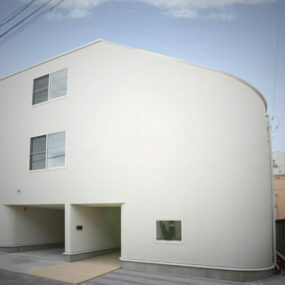 Artechnic.